ANNAPOLIS, Md. – September 01, 2016 – For the first time in state history, Maryland’s award-winning website, www.Maryland.gov, was named the best state government website in the country as part of the Center for Digital Government’s prestigious Best of Web competition. Governor Larry Hogan’s commitment to create efficiency and interoperability across all state agencies has positioned Maryland.gov as the national portal leader in terms of usability, design, functionality, and innovation. "From day one, our administration has been committed to providing Marylanders with the highest level of customer service across every platform, from in-person to electronic interactions," said Governor Hogan. "We strive to make Maryland.gov the most efficient and user-friendly portal for more than 84 million customers to access vital information and services, and being honored as the best state government website in the country is recognition of our tireless efforts." Maryland.gov provides a gateway for more than 84 million visitors to agency websites and hundreds of time-saving digital government services, including car registration renewals, vehicle emissions, safety inspections, and business registrations. Agencies and visitors have access to payment processing gateways, a state agency directory for more than 300 agencies, help desk, and interactive events and public meetings calendar. The citizen-centric design provides easy access to a Google site search with custom filters based on content type — pages, services, social media, publications, and even maps. The responsive design allows for a lean mobile experience, with seamless expandable content for the more than 42 million mobile visitors. The site also utilizes the new, state-of-the-art Enterprise Widget Platform. This platform provides state agencies with centralized and standardized code, and allows for rapid development and deployment of a variety of widgets. These widgets include NearYou, Online Services, Google Site Search and Header, which are available across state agencies expanding the state’s open data platform. Hosting platform for digital services that include: payment processing, security, event registration, agency website templates, search, and help desk. Developed 25 new eGovernment services in 2015, using 100 percent mobile friendly templates. Over 300 channels reaching 850,000+ followers. First state to introduce citizen-centric user personalization allowing visitors to save links for future use. 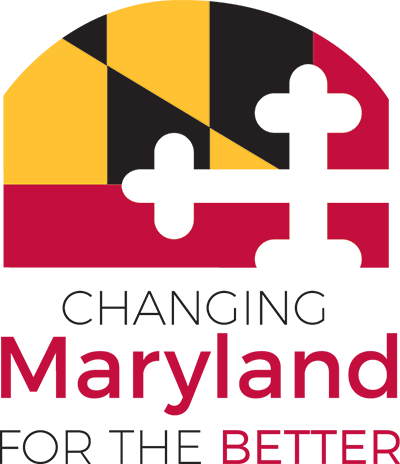 The Maryland.gov website was developed for the state of Maryland at no cost by NIC Maryland, through the self-funded eGovernment services contract with the State Department of Information Technology (DoIT). The Center for Digital Government is an international research and advisory institute on the use of information technology in government. This year nearly 300 state, city, and county government websites were judged as part of the Best of the Web competition, based on their innovative qualities, usefulness, efficiency, and economy. Judging is conducted by a panel comprised of last year’s winners, former government officials, and executives from the Center for Digital Government. NIC Maryland builds, operates, maintains, and markets the official website of the state of Maryland, www.maryland.gov and its digital government services. NIC Maryland is a collaborative public/private partnership managed by the Department of Information Technology (DoIT) and NIC Maryland. NIC Maryland helps Maryland state and local government entities web-enable their services and operates without tax funds through a self-funded digital government services contract. NIC Maryland has developed dozens of eGov products and services for the state of Maryland since the contract was awarded in August 2011.